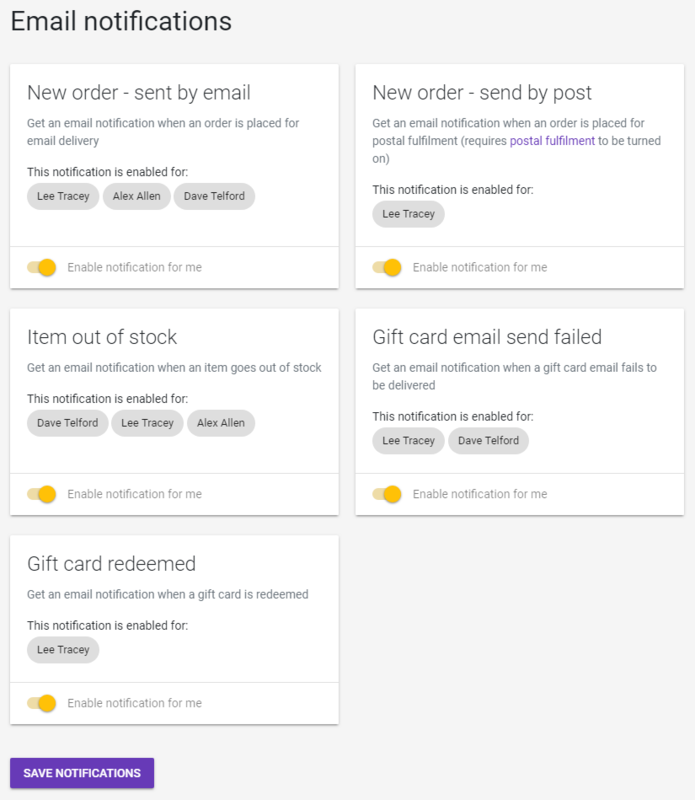 Do I get notified about every gift card sold? By default, yes, will send you an email every time you sell a gift card. We'll include the details of the gift card that you just sold. You can control these settings from Account > Notifications. We highly recommend setting up a Zap in Zapier to do whatever you need. What do the "New order" emails look like? Here's an example of a postal order. 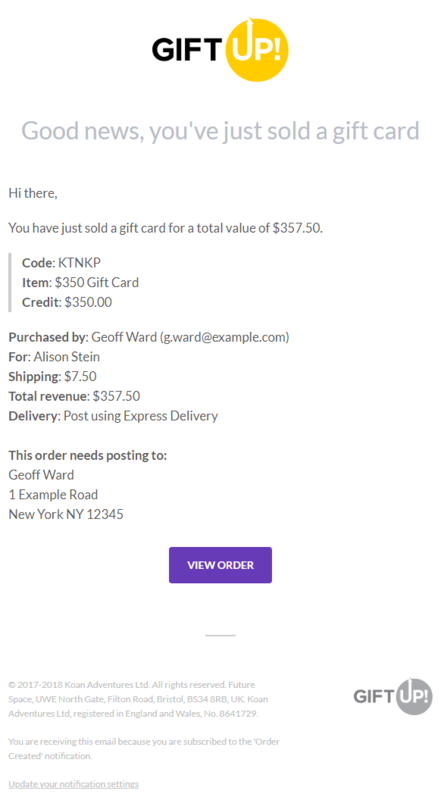 For email gift cards, the only thing that gets removed is the address. Notice how it contains the code we issued to the recipient and the initial credit value.